Conor Anthony McGregor professionally known as Conor McGregor is an Irish professional mixed martial artist and boxer. He is the former Ultimate Fighting Championship (UFC) featherweight and lightweight champion. He holds the record of holding title in two weight divisions simultaneously in UFC history. As of August 2018, McGregor stands at rank No.2 on the UFC's pound for pound rankings. He has also competed as a welterweight in mixed martial arts (MMA), and light middleweight in boxing. Prior to UFC, McGregor started his MMA career in 2008. He won both the Cage Warriors Featherweight and Lightweight Championships simultaneously in 2012. He vacated the title to sign with the UFC. McGregor defeated Jose Aldo for the UFC Featherweight Championship in 2015 at UFC 194 via knockout. It took only 13 seconds for McGregor to win the title. His victory became the fastest win in UFC title fight history, whereas he defeated Eddie Alvarez at UFC 205 to win UFC Lightweight Championship. McGregor earned the biggest pay-per-view (PPV) draw in MMA history. He was headlined four out of the six highest-selling UFC pay-per-view events. In 2017, McGregor started his professional boxing career. McGregor was defeated by Floyd Mayweather in his debut boxing match. Conor McGregor vs Nurmagomedov UFC 229 press conference was held recently. During the press conference, McGregor provoked Nurmagomedov by saying "If you'd have got off that bus you'd be dead now,". He also said to Nurmagomedov, "You'd be dead and I'd be in a cell." It the same incident that happened on April 3, 2018, where McGregor threw a metal equipment at a bus, carrying Nurmagomedov and other fighters, injuring two. McGregor was arrested and charged with three counts of assault and one count of criminal mischief. The most awaited bout is scheduled to take place on October 6 this year. The fight between two is dubbed as the biggest fight in UFC history. Nurmagomedov is a defending UFC Lightweight Champion and McGregor is a former UFC champion. Conor McGregor was born to a father Tony McGregor and a mother Margaret McGregor on July 14, 1988, in Crumlin, Dublin, Republic of Ireland. Born and raised in Crumlin, McGregor attended a Gaelscoil and Gaelcholaiste at both primary and at the secondary level in Colaiste de hide in Tallaght. In his childhood days, he used to play association football. Thus, he played football for Lourdes Celtic Football Club during his youth. McGregor also began boxing at the age of 12 at Crumlin Boxing Club. McGregor along with his family moved to Lucan, Dublin in 2006. He attended Gaelcholaiste Colaiste Cois Life. He also started a plumbing apprenticeship. McGregor met future UFC fighter Tom Egan in Lucan, They both started to train mixed martial arts (MMA) together. McGregor made his mixed martial arts debut in an amateur fight on February 17, 2007, against Kieran Campbell for the Irish Ring of Truth promotion in Dublin. He won via technical knockout (TKO) in the first round. Following his performance, he turned professional signing the Irish Cage of Truth promotion. 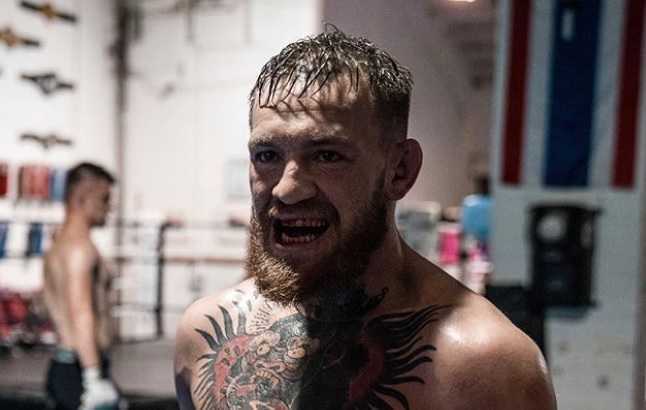 After signing with the Irish Cage of Truth promotion, he started training at the Straight Blast Gym (SBG) in Dublin under John Kavanagh in 2008. McGregor made his professional MMA debut on March 9, 2008, against Gary Morris. He defeated Morris in the second round via TKO. McGregor made his featherweight debut against Artemij Sitenkov. He lost via submission. But he managed to defeat Stephen Bailey and Connor Dillon at featherweight. During his eight-fight winning streak between 2011 and 2012, McGregor became the first European professional mixed martial artist to win both the CWFC Featherweight and Lightweight championships simultaneously. Ultimate Fighting Championship (UFC) signed McGregor for multiple-fights in February 2013. McGregor made his UFC debut against Marcus Brimage at UFC on Fuel TV: Mousasi vs Latifi on April 6, 2013. He defeated Brimage in a tough fight and earned "Knockout of the Night" award in his first fight. McGregor tore his anterior cruciate ligament (ACL) during a fight against Max Holloway at UFC Fight Night 26 on August 17, 2013. McGregor managed to win the fight submission but torn his ACL in the process. The surgery kept McGregor out of action for up to ten months. Motive Television and SevereMMA.com featured the fight in a documentary titled "The Notorious". After recovering from injury, McGregor returned to the fight against Diego Brandao at UFC Fight Night 46 on July 19, 2014. McGregor earned his first "Performance of the Night" award. McGregor earned his second and third "Performance of the Night" award defeating Dustin Poirier via TKO at UFC 178 on September 27, 2014, and Dennis Siver at UFC Fight Night 59 on January 18, 2015. One of the highly anticipated bout with UFC Featherweight Champion Jose Aldo was scheduled for July 11, 2015, at UFC 189. In an effort to publicise the bout, both McGregor and Aldo went on a 12-day tour at eight cities in five countries. The tour began from Aldo's home country of Brazil (Rio de Janeiro), the United States of America ( Las Vegas, Los Angeles, Boston, New York City), Canada (Toronto), England (London) to McGregor's hometown of Dublin, Ireland. However, Aldo pulled out of the bout on 23 June due to the rib fracture. Chad Mendes replaced Aldo for the Interim Featherweight Championship. McGregor used his all techniques in a tough fight against Mendes. In the end, McGregor won the UFC Interim Featherweight Championship via TKO in the second round. He continued his "Performance of the Night" award streak to four. Following the UFC Interim Featherweight Championship victory, McGregor took part in UFC's reality television series The Ultimate Fighter. McGregor coached against Urijah Faber in this "U.S. vs. Europe" installment of the show. Ryan Hall of Faber's team won the competition. The most anticipated McGregor vs Aldo fight finally took place on December 12, 2015, at UFC 194 at MGM Grand Garden Arena, in Las Vegas, Nevada. McGregor took only 13 seconds to take Aldo down and become the second undisputed UFC Featherweight Champion in history via TKO. He also earned his fifth "Performance of the Night". The win extended his win streak to 7 and overall win streak to 15. McGregor lost his first UFC bout against the No. 10 ranked lightweight contender, The Ultimate Fighter Season 5 winner, and former UFC Lightweight Championship challenger Nate Diaz at UFC 197 in 2016. The loss also broke McGregor's winning streak of 15 consecutive wins. McGregor revenged his first UFC defeat to Nate Diaz in a rematch at UFC 200 in August 2016. He defeated Diaz via majority decision. McGregor won the UFC Lightweight Championship defeating Eddie Alvarez on 12 November at UFC 205. McGregor vacated the Featherweight Championship on November 26, 2016, due to his inactivity in the division. McGregor vs. Floyd Mayweather was another most anticipated boxing match in 2017. Following several negotiations, the two finally came to terms to box on 26 August. Floyd defeated McGregor in a tough fight in the 10th round via TKO. McGregor was also stripped of the Lightweight Championship due to inactivity on 7th April 2018. McGregor is in a relationship with his girlfriend Dee Devlin since 2008. They met each other when Conor was 19. The couple is blessed with a son, Conor Jack McGregor Jr. He was born on May 5, 2017. McGregor has two sisters, Erin and Aoife and can speak Irish to the certain extent. McGregor trains with fellow UFC fighter Gunnar Nelson at Mjolnir gym in Reykjavik. McGregor addressed the United States Congress about legal protections for MMA fighters on September 20, 2017. McGregor was charged with three counts of assault and one count of criminal mischief for throwing a metal equipment at the bus's window carrying Nurmagomedov, Rose Namajunas, Al LaQuinta, Karolina Kowalkiewicz, Ray Borg, and Michael Chiesa. Chiesa and Borg were injured. McGregor was released on $50,000 bail and was ordered to perform five days of community service and attend anger management classes. McGregor has played in Documentary Film, Conor McGregor: Notorious in 2017. The net worth of Conor McGregor is now estimated to be around $85 million. McGregor has earned $100 million from his last fight only against Floyd Mayweather. He is listed 24th in the Forbes list of highest-paid athletes. 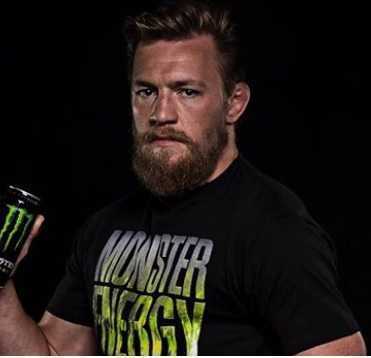 McGregor has endorsed Beats by Dr, Monster Energy, Reebok and Bud Light. He has also signed a deal with Burger King in early 2018. His endorsement rounds up to $7 million. McGregor has also started a fashion brand named "August McGregor" with custom clothier David August. The brand provides modern men's suits to millennials. Conor McGregor holds the record of winning both Featherweight and Lightweight Championships simultaneously. McGregor has also professionally begun his boxing career. McGregor's headline bout with Nate Diaz at UFC 202 drew 1.65 million PPV buys, the most ever for an MMA event. McGregor's boxing match with Mayweather drew 4.3 million PPV buys in North America, the second most in history. McGregor took only 13 seconds, fastest finish in any UFC title bout to beat Jose Alda and became second UFC Featherweight Champion.